Warm Up continues at MoMA PS1 on Saturday (8/18) with Jacques Greene, Floating Points, Hieroglyphic Being, and Secret Circuit. Tickets for Saturday’s show are still available. 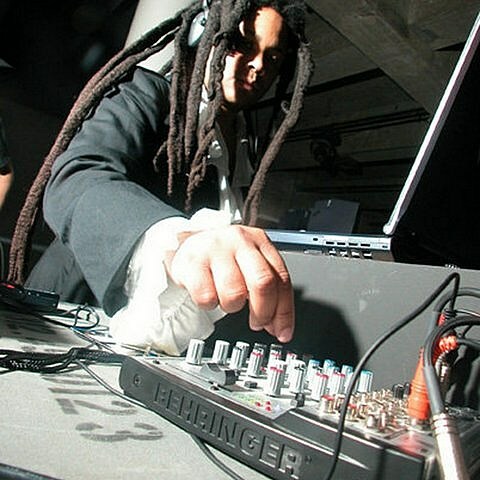 While Chicago mainstay DJ Hieroglyphic Being (aka Jamal Moss) is in town, he’ll play a late night party at 285 Kent on Friday (8/17) with Maxmillion Dunbar, Antennes, SFV Acid, a DJ set by James Gerard and visuals by Aurora Halal. Tickets for that show are on sale now. 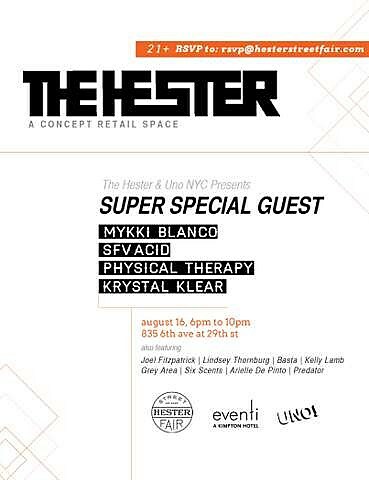 In related news, SFV Acid will play an UNO party one night earlier (8/16) at The Hester with Mykki Blanco, Physical Therapy, Krystal Klear, and a “Special Secret Guest.” No promises on who the guest is, but perhaps it will be one of the people in town for Saturday’s Warm Up, like past Warm Ups have yielded. Maybe you should go and make your friends envious. The flier for this show is below. A list of all Hieroglyphic Being dates and some song streams below.